JS Bank and Wemsol Pvt Ltd have signed an agreement for Keenu NetConnect to promote e-commerce in the industry by digitizing payments and provide an unmatched digital experience for its valuable customers. The strategic alliance is in continuation of coalitions to strategize about the future of payments and how it will evolve to become cashless. Speaking at the occasion, Mr. Kamran Jafar, Group Head CRBG, JS Bank, said “This partnership with Wemsol will lay a foundation of digital payments for e-commerce to flourish in Pakistan, which we firmly believe to be the future of payments industry”. 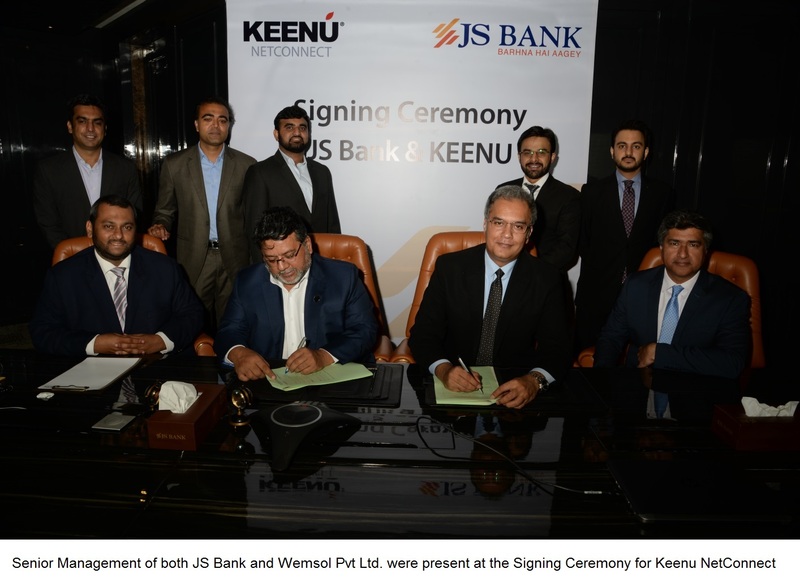 Mr. Imran Soomro, CIO JS Bank, further added “Technology that brings convenience has a very high adoption rate in today’s world, and our partnership with Wemsol will provide an extremely seamless solution to our clients”.